As more and more people are starting their own business, it has been observed that there is a continuous need for alternative financing solutions for the newly emerging small- businesses. The traditional banks often will not fund them because of poor credit., A merchant cash advance is an easy and quick way to access to capital for operating a business smoothly. Although the MCA industry is booming right now, a merchant cash advance provider is still facing some difficulty in finding prospects and selling business loans. Fortunately, UCC leads exist to help you reach target prospects quickly. UCC lists are records containing information including the name and contact details of those businesses that have applied for a merchant cash advance before and are expecting to seek one again. The best thing about these businesses is that since they have already taken an MCA loan, they are familiar with the process which makes your job easier. When planning to launch a merchant cash advance marketing campaign, getting UCC records will help them reach prospects in a better way. A merchant cash is a quick and flexible financing alternative for start-ups and small businesses. Generally, a merchant cash is an advance on the future credit card sales of a business. Unlike traditional banks, a merchant cash advance doesn’t need any kind of collateral and stays off a credit report, which is very beneficial for emerging businesses. Quick access– This is the biggest benefit of a merchant cash advance. Unlike traditional bank procedures that can be lengthy, an MCA loan is processed in a much less time and the capital can become available within 24 hours. No paperwork– Merchant cash saves you from going through the cumbersome task of submitting extensive paperwork to get approval unlike the traditional banks. It also decreases the turnaround time for the business needing a merchant cash advance, which does not happen in the case of a traditional bank loan. No collateral– Small business cash advance programs don’t work like traditional bank loans, the businesses don’t have to provide any collateral. Funds are granted on the basis of their credit card or gross sales. Bad credit? No problem– Seeking a merchant cash doesn’t require a credit history. It is a significant benefit for those startups that have just entered the business world. Even if a business doesn’t have a perfect sales record in the past, it can still be eligible for a merchant cash advance. Explaining these benefits will help encourage UCC leads to buy loans from you. 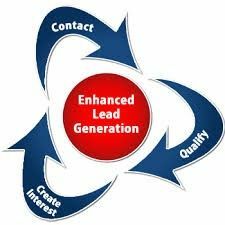 As an MCA provider, before launching a merchant cash advance marketing campaign, you need to know your target prospects; getting high-quality UCC leads from a leading firm like ours will help you market merchant cash advances in a more effective way to yield better results. Consequently, your business will be able to generate a good deal of ROI each time you invest in UCC.